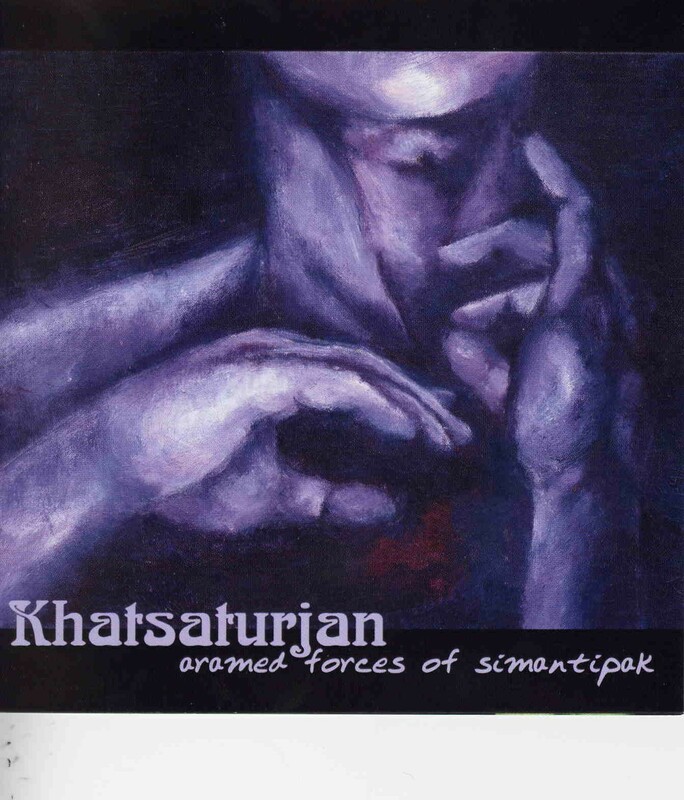 Khatsaturjan is a Finnish progressive rock band that was originally formed to play covers of classical works (Dvorak, Mussorgsky and Prokofiev) as a rock combo. It seems all of the guys have studied music, and that can be heard on their music, in good and in bad. Aramed Forces of Simantipak is their first official CD, and features only original compositions. They have made the album completely by themselves, and done a nice job. Listening to the album I’m mostly reminded of early to mid 70’s Genesis, but for example the short “Prelude” sounds like Procol Harum. The mostly quite tight and fast “Oh, Cosmic Pearl” gets closer to Rush or even Dream Theatre. My wife said it reminds her of Von Hertzen Brothers. The rather interesting, short “The New Masters of My Body” sounds a bit like King Crimson. The keyboard player also plays cello and a lot of piano, and the album has a classical feel from time to time. All members of the band sing (some also in chamber choirs etc. ), and the album features a lot of harmony vocals. There are also some great guitar solos, but for me the best part are some of the synth solos that sound like they were played on vintage instruments like Moog. This is rather progressive and inventive stuff but somehow it doesn’t really do the trick for me, maybe it’s too professional or “arty” or something, I don’t know. Well, it’s not psychedelic, so maybe that’s it… The true spirit seems to be missing somehow, or maybe I just can’t find it? Check it out if you’re into classical music influenced modern prog rock with vintage feel.